It can be extremely difficult to think about the future, particularly when it involves thinking about your eventual death, but it can be very important to put some actual hard thought behind it. Using a lawyer when you’re trying to go through the stages of estate planning can ensure that your assets end up where you want them and not given to the state. When it comes to making sure that your final wishes are recorded for your loved ones, ensuring that they are legally binding is incredibly useful. Having an attorney there to help you keep everything organized and legitimate can make the process ten times easier to understand and execute. There shouldn’t be any more hastily written notes on notebook paper, but instead well thought out and organized wishes for how you want your loved ones to care for your belongings after you’re gone. Power of attorney privileges should not be overlooked while estate planning with your lawyer. Choosing the right person to have this mighty power means choosing the person who will dictate your wishes to not only your family, but also medical personnel should you be unable to. Whether you choose someone close to you to exercise power of attorney or your lawyer, you should definitely spend some time considering all that it entails to entrust this power to someone. Don’t leave your loved ones guessing and fighting over what you would have wanted in the event of an accident that leaves you in a vegetative state or worse. If you’re a parent and the most unfortunate event of your death occur while your child is still underage, then you truly need to think long and hard over who will be left in charge of their care. 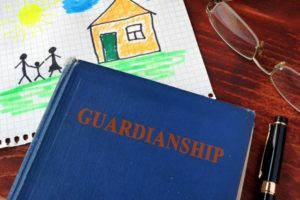 This is especially important to consider when you have either gone through or are going through a divorce; this is important if your spouse is not available to take over guardianship. As a parent you know how difficult it can be to entrust your children to someone else and using the services of an attorney can help you narrow down who it should be. We understand that it’s never easy planning for the unknown future and yet we also know how incredibly important it is for protecting your loved ones from any further hurt. By employing the services of a lawyer with planning your estate, you’re guaranteeing a smoother grieving period for your family. I like that you explain how an estate planning attorney can help you stay organized and ensure everything is done legitimately, making the process easier and more understandable. 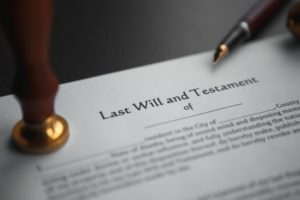 When choosing a lawyer, it would probably be a good idea to consider what estate planning services you want from them, such as if you’re writing a will or setting up a trust. Knowing this could help as you research local attorneys in order to find one that can provide the help you require and who is easy to work with so you can get answers to your questions and have the process be as easy as possible.